Home - Indo-Pacific: One region, many visions? Diverse perspectives on the idea of ‘Indo-Pacific’ are resulting in a lack of clarity on this concept. As a framework, the Indo-Pacific seeks to create a connected multipolar Asia that must be governed by commonly agreed international norms, rules and practices. But what is the Indo-Pacific, asks Rajeev Ranjan Chaturvedy. The idea of the Indo-Pacific has become an inevitable topic for discussion among foreign policy and defence communities and commentators. Everyone, however, is grappling with this idea and pondering how this changing narrative could affect oceanic space that is in a state of flux. There are multiple perspectives about its nature and scope. A lack of clarity about the idea of the Indo-Pacific has resulted in a disinterested disposition among several countries in the region towards this evolving geopolitical paradigm. The Asean Studies Centre at ISEAS-Yusof Ishak Institute conducted an online survey between November 18 and December 5, 2018 on the “State of Southeast Asia: 2019” to seek the views of Southeast Asians. One of the questions asked was how do you view the Indo-Pacific concept? The majority of the respondents (61.3 percent) think the concept is “unclear and requires further elaboration”. Therefore, it is essential to get clarity and specificity from the proponents of the Indo-Pacific concept. The survey also highlights lingering doubts of the Indo-Pacific’s “hidden agenda” as a quarter of the respondents (25.4 percent) think the “concept aims to contain China” while 17.3 percent see the concept as working to “undermine Asean’s relevance and position in the regional order”. What is the Indo-Pacific? Is this a framework being developed with some other motives or is it a reflection of changing realities which require adjustment in approaches to look at things in this region? For a long time, the geopolitical paradigm widely used is the Asia-Pacific encompassing countries from Northeast Asia to South Asia and vast seas namely the Pacific Ocean, the South China Sea and the Indian Ocean. The idea of the Indo-Pacific has evolved over time, recognising the blurring lines between geoeconomics and geopolitics. It also demonstrates a gradual convergence of opportunities and challenges in the Indian Ocean and the Pacific Ocean. Sustained economic growth, relative political stability and social cohesion have enabled major powers in Asia to exert expanding influence in shaping agendas and global rule-making. Asia has ascended as a pivot amid these changing global economic and strategic realities. The resurgence of the Indo-Pacific, which Indian analysts describe as the “maritime underbelly of Asia” has become the locus of maritime activity in Asia. A gradual evolution of the Indo-Pacific concept has resulted in varied ideas and perspectives. Japan, India, Indonesia and some Asean countries appear more active on regional economic diplomacy and comprehensive with a clear emphasis on rule-based order and collaboration on shared interests. American and Australian perspectives, which earlier appeared as anti-China, are also evolving. The commander of US Indo-Pacific Command Admiral Philip S Davidson in a panel discussion in New Delhi as part of the Raisina Dialogue 2019 underlined that the Indo-Pacific region should be about building communities, not about confrontation. 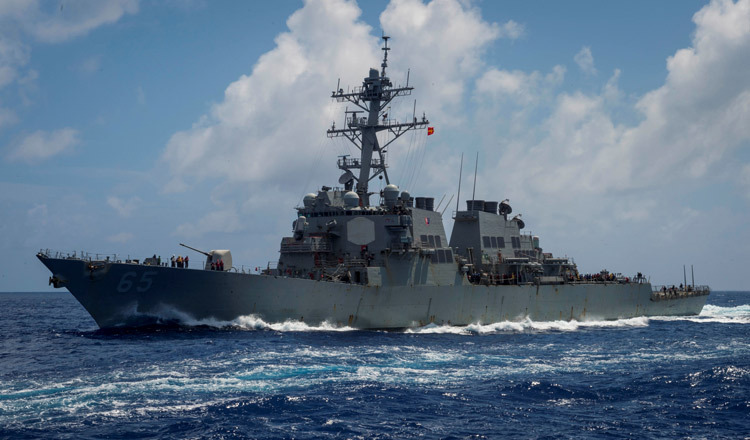 In response to a question on the Quad − comprising the US, India, Australia and Japan — being seen as a step to contain China, Admiral Davidson said that the Indo-Pacific policy is not a containment policy. They are one, “free from coercion by other nations” as well as free “in terms of values and belief systems”; two, “individual rights and liberties” including religious freedom and good governance; three, “the shared values of the United Nations Charter and the Universal Declaration of Human Rights”; four, “unfettered access to the seas and airways upon which our nations and economies depend”; and five, “open investment environments, transparent agreements between nations, protection of intellectual property rights, fair and reciprocal trade”. There is, however, an imagined impression that the Quad is an integral part of the Indo-Pacific concept. Linking these two ideas is creating ambiguity among scholars and policymakers. Though there could be some congruence between these two evolving concepts, Indo-Pacific is a much broader framework. India is central to the Indo-Pacific concept. Hence, it is critical to understand India’s perspective on the Indo-Pacific. Indian Prime Minister Narendra Modi has very clearly outlined India’s Indo-Pacific vision as a “natural region” and home to immense global opportunities and challenges. He proposed India’s approach to the Indo-Pacific in both geographical and civilisational sense – a free, open and inclusive club, open to all in a common pursuit of progress and prosperity. Security and Growth for All in the Region (SAGAR) captures Mr Modi’s Indo-Pacific vision. This makes it clear why India remains perhaps the least enthusiastic member of the Quad. India is grappling to walk a tightrope between robust security balancing while maximising opportunities for economic engagement. Notwithstanding the divergent perspectives, there seem to be a convergence on the key organising principles of the Indo-Pacific concept knitting together economic and security relationships of major powers and the countries around this vast oceanic space. These principles are freedom of navigation and overflight; respect for sovereignty and territorial integrity; equality of all nations irrespective of their size and strength; peaceful resolution of disputes; respect for international laws; open and stable international trade regime; sustainable development of marine resources; maritime safety and security anchored by Asean-led mechanisms; and fostering physical, digital, technical and people-to-people connectivity. The Indo-Pacific vision seeks to create a connected Asia that must be governed by commonly agreed international norms, rules and practices. Most of the challenges we confront as an interconnected and interdependent world are cross-cutting and global in dimension. These include terrorism, maritime crimes, pandemics, cybercrime, maritime environment, humanitarian assistance and disaster relief among others. All of these require a collaborative response and therefore multipolarity is the way forward. A multipolar Indo-Pacific could become a profound platform to manage the competing interests of major powers in a vast common domain in an emerging world order.